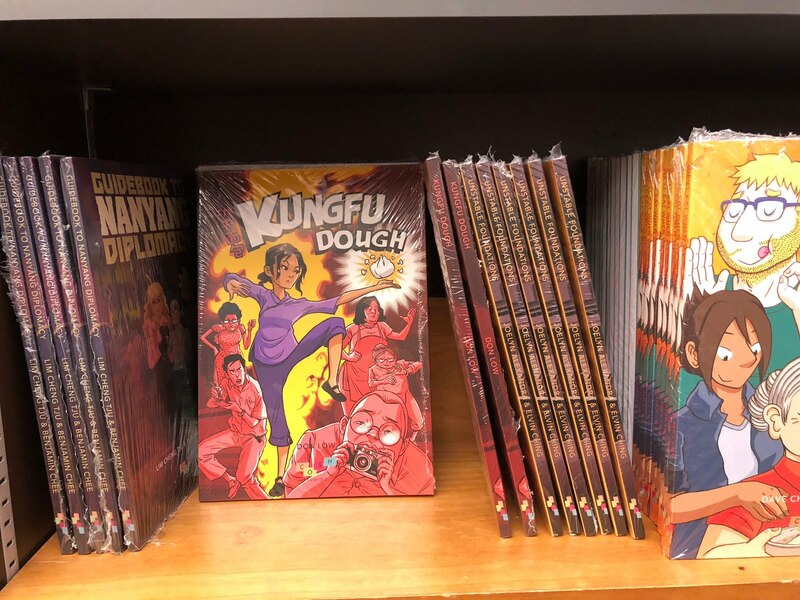 Kungfu Dough is my latest graphic novel project. Published as a collective of 6 other comic books under COSH Studios. Yan is a baker by day and a secret kungfu (gongfu) fighter by night. All she wants is to help her family's baking business survive the ailing economy and the threats of gang wars. The story is set in post-war Singapore in the mid 60s before independence. Her encounter with an intrepid journalist might unmask her identity and secret. 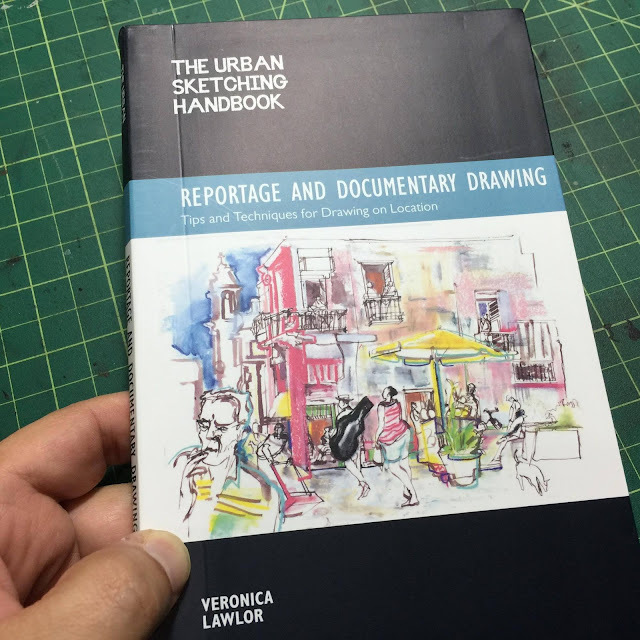 The image shows the final stages of the cover design process. 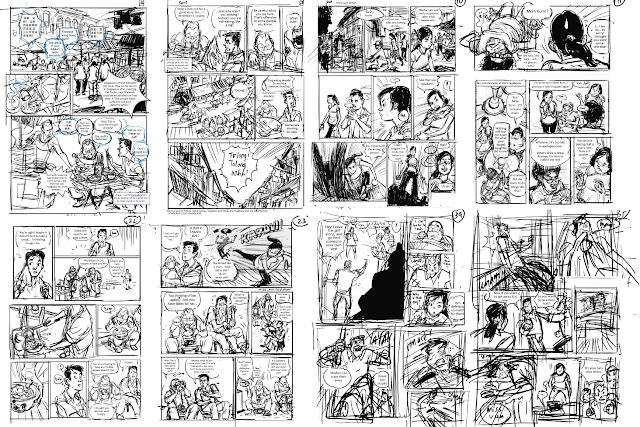 The final layout is show in the roughs below, all penciled in the computer. It was then brought into Clipstudio Paint Ex to be inked and coloured. There were several coloured versions. For the final design, the bg colour was changed to a deeper red and a raging yellow flame added behind the main character Yan. 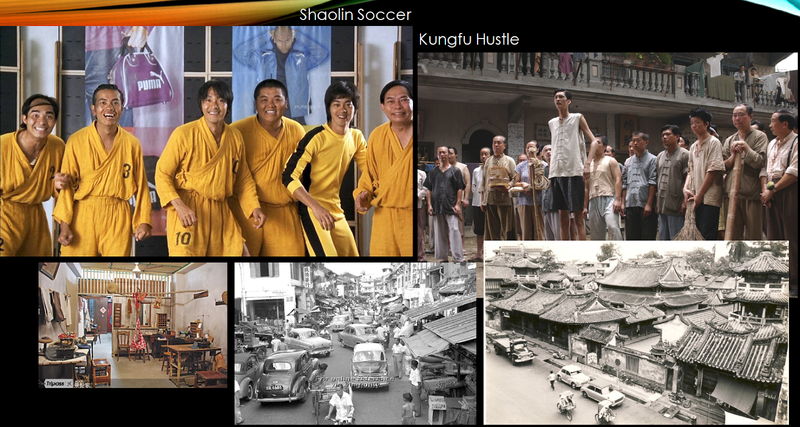 I was a fan of Stephen Chow and his movies, slapstick comedies and kungfu films; from which my favourites are Shaolin Soccer and Kungfu Hustle. 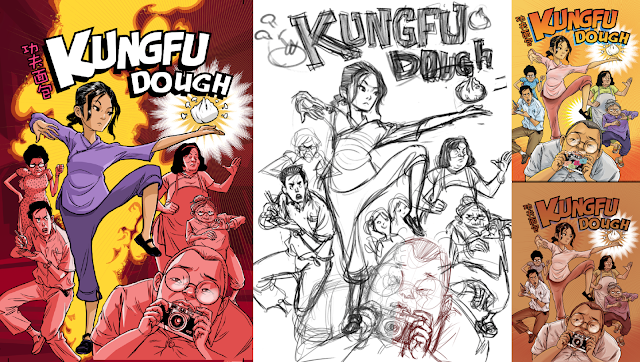 I wanted to adopt a similar approach for Kungfu Dough too. 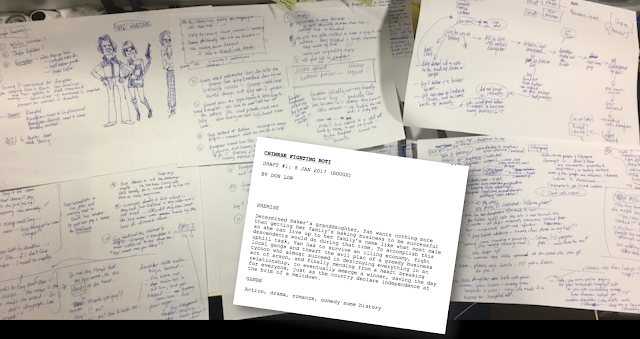 Writing the script took me the longest time since I am not a writer. But I wanted to write the story myself, however I am also relying on my wife's help to edit the story and I frequently run through the story concept and progression with her. Finally after several rewrite, the story was nailed down after about a year and a half, working on the script amid my other jobs. I also learned that writing the story is not the key activity that a writer is heavily engaged in. Writing the back stories of all individual characters is as important as the story itself. 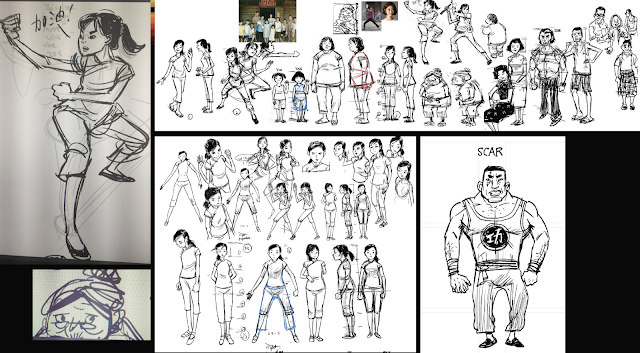 The fun part of the drawing process is designing the character. I have the characters in mind already but drawing them down in the style I wanted is hard. It took a lot of time redrawing and doing research as well. The characters designs were down cast in stone until the book cover was finished and sent for test print and publicity. 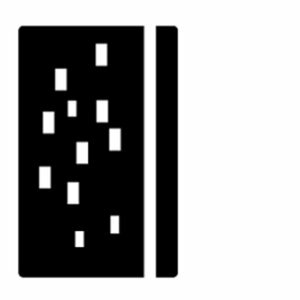 I have to finish the cover because in the first 3 books that were launched earlier, the cover flap would contain thumbnails of all the other books. Nonetheless, I loved and enjoyed thoroughly the character design stage. The research for content included a trip down to several bakeries to see their machinery and setup, which have not changed since the 60s. 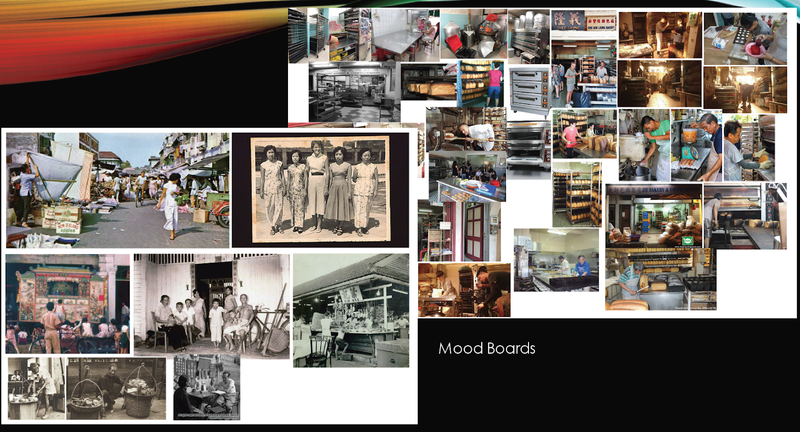 Many bakeries still use the same type of oven and layout. From the photos I collected from my actual photo taking and from the internet, I created a mood board that I refer to very often during the penciling stage of the comic book. These are pencil roughs but no pencil was used throughout because my penciling stage was done completely in the computer and sometimes my iPad. The penciling stage involved 2 process. The first was building up the story flow with very rough drawings. These were then redrawn and cleaned up to nail down the final flow, the placement of the dialogues, panel layouts, effects and so forth. The most tiring stage and the most tedious. 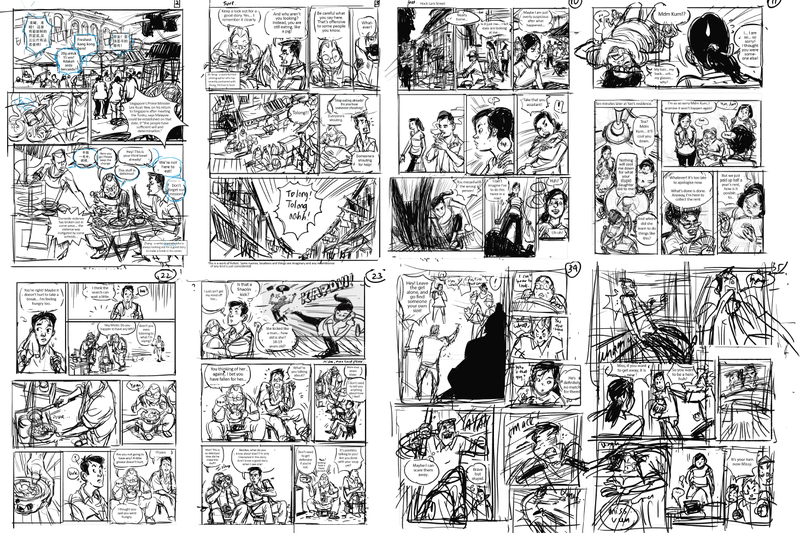 Most pages were actually redone at least twice or more. Sometimes, 20-30 pages have to be relayout all at once. If these were done with pencil and papers, I would have a whole stack by now. Here's an example of rough to final inking and adding comics effects, eg screen tones. A page like this would take me at least 4-5 hours to complete. I am pretty proud to see my books placed side by side with my friends' on the shelves of bookshops like Kinokuniya. Completing a book is a milestone for me. 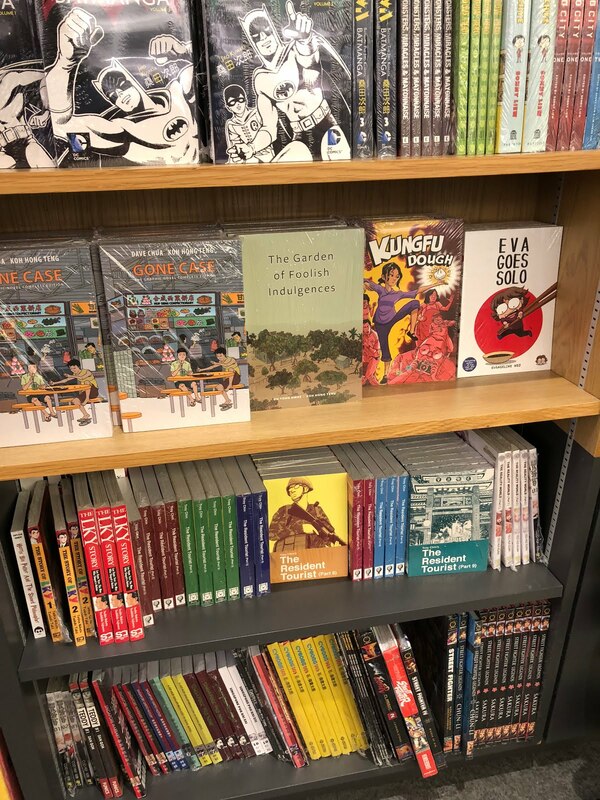 Seeing it in book stores is a bonus. I am not concerned whether it becomes a best seller, but I hope it gets sold out. LOL! What are you waiting for? Go buy!! 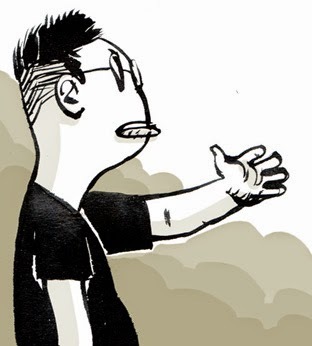 Amazing article about graphic novel project, I appreciate your article. Thank you so much.